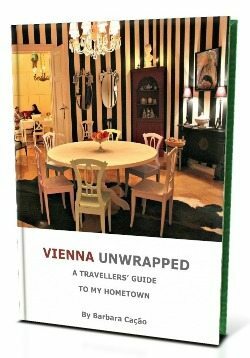 Johann Strauss Vienna Guide. To be up-front: not even die-hard Johann Strauss II fans will stumble across Strauss at every step in Vienna. Too hidden are his former apartments, too secluded exhibitions about him, and too tucked away or irregular are Strauss music events. Hence, here is the top guide to Vienna for fans of the King of Waltz. Who Was Johann Strauss II? Essentially, Johann Strauss was THE pop music celebrity of 19th century Vienna. Throughout his life the master violinist and composer was dedicated to entertaining the Viennese and international public through dance music. He is sometimes confounded with his musician father Johann Strauss I aka Johann Strauss the Elder. Strauss meteorically rose from suburban dance musician to international star in the midst of the biggest revolution in Austria’s Empire and its bloody suppression. 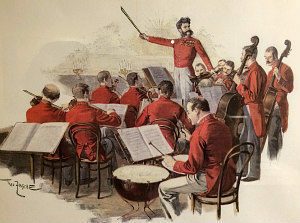 Certainly, his cheerful waltzes, dynamic polkas and playful quadrilles were a much needed escape for the Empire’s people. If you love light classical music and ballroom dancing you will likely have Strauss’ Blue Danube Waltz (Donauwalzer), the Emperor’s Waltz (Kaiserwalzer) of the overture from the operetta The Bat (Die Fledermaus) somehwere in your CD collection. Basically, the two Strauss museums are a must for fans keen on understanding the waltz king’s original universe: one was his former apartment in Praterstrasse, the other is a privately run museum about the whole Strauss dynasty in Müllnergasse. Below I’m sharing some thoughts about them. Essentially, the Johann Strauss apartment in Praterstrasse was where Strauss composed the Blue Danube Waltz ‘An der Schönen Blauen Donau’. (Given it is played so often to represent classical Austria it has become the unofficial Austrian anthem.) The apartment itself comprises just a few rooms. However, since Leopoldstadt was Strauss’ birth place you do get a feeling of his home turf when approaching the apartment. Inside, the apartment displays a modest exhibition of the composer’s life. 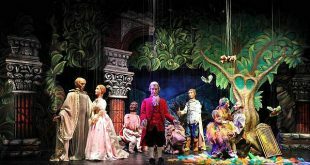 Two pianos, a period-style Viennese dress and two dozen cute ladies’ ball gifts conjure the world of Vienna’s waltz and operetta star. However, for most visitors, Strauss’ original Amati violin alone, resting in a golden vitrine, is worth the pilgrimage. Throughout the museum, walls and desks showcase drawings, pictures and music posters of Strauss, his family and his most famous works. Sadly, the music stations are also rather modest, and one of them didn’t work during my visit. All in all, there is more you could make out of this place. 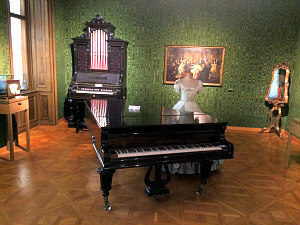 Unlike the Johann Strauss apartment the Museum of the Strauss Dynasty focuses on the lives of composer family Johann Strauss senior, Johann Strauss II, Josef and Eduard Strauss. Although displaying an equally simple exhibition this museum has a clear compelling narrative. Starting with his musician family, the personality of Johann Strauss emerges and interlinks with the different music pieces he composed. 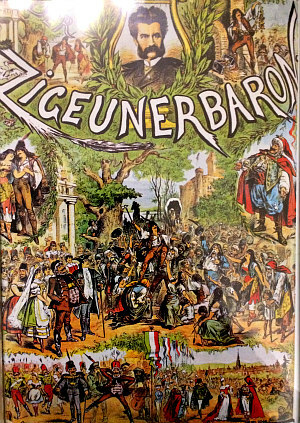 This poster of his operetta Zigeunerbaron (‘gipsy baron’) brilliantly expresses the playfulness and dynamics of Strauss’ music. The portrait in the middle shows Johann Strauss himself. Since Johann’s brothers Josef and Eduard also composed widely recognised music it was really helpful to finally learn about their stories and clearly distinguish their musical styles. 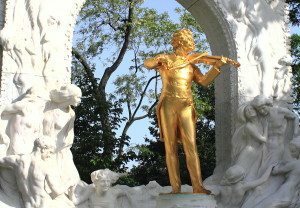 What is almost as fascinating about the Strauss clan is their era: Before my visit, Johann Strauss and his music were free floating in history. At the museum I not only managed to link him up with his family but with the political controversies of Vienna’s Biedermeier era, and with other musicians of his time. Especially intriguing was the Strauss family members’ different relationships with the Habsburg Emperors. 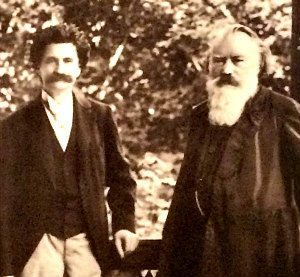 And a photograph of Johann Strauss with his friend, composer Johannes Brahms (photo)! The music stations were similar to the ones at the Strauss apartment, but they worked much better. When I visited with my private music tour guide Gilles we met Professor Helmut Reichenauer, the driving force behind this private museum. It’s not often the museum’s boss shares his tremendous passion and insight with you (and president of the cultural association ‘Wiener Blut’), so this was a special treat. Though it just captures one room I love the Johann Strauss exhibition at Haus der Musik (House of Music). This is about the story of Strauss’ genius rather than about authenticity and context. Enveloped by huge visuals and almost stepping into some pending violins you can pull off vast information about Johann Strauss’ life on a touchscreen, and listen to some music. If you want to get hands on you can virtually conduct Strauss’ Blue Danube Waltz with the Vienna Philharmonic Orchestra at the House of Music’s fantastic ‘Virtual Conductor’ station. This is big fun and a real must do. Golden Strauss statue: Vienna’s most eye catching monument is also the most photographed. Right when you enter Stadtpark next to Kursalon a larger than life ‘Schani’ (Strauss’ nickname) beams through the green leafage. Though originally set up in gold in 1921, the statue was black when I was a child six decades later. Only since 1991 did it get its former sparkle back. 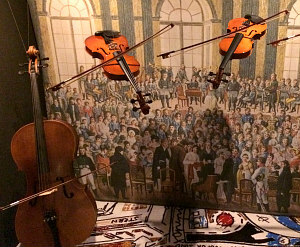 Collection of Historic Instruments: Do you want to hear the original sound of Johann Strauss? At Vienna’s Collection of Historic Instruments, start the old phonograph and listen to the Strauss music band play the ‘Fruhlingsstimmenwalzer’ (‘spring voices waltz’). Johann Strauss’ Tomb: One of the most romantic tombstones at the Central Cemetery in Vienna belongs to Johann Strauss and his third wife Adele. A finely chiseled block in white marble displays a nymph with harp, Johann Strauss’ portrait and dancing and fiddling angels. 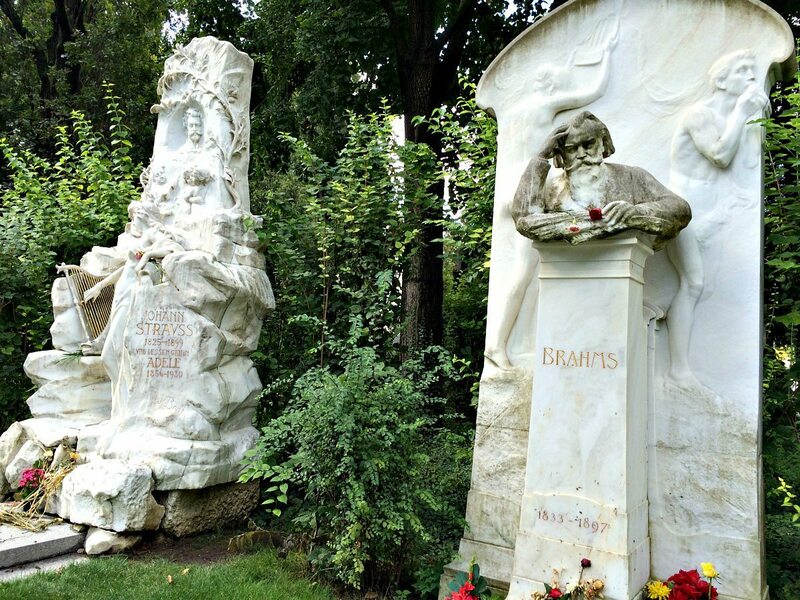 Very movingly, Strauss’ final resting place is right next to his dear friend and fellow musician, Johannes Brahms. 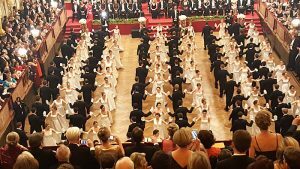 Between you and me (and the rest of the internet community) I have a hard time recommending a dedicated Johann Strauss music event that is not touristic. However, quite a few Austrians like to dance to Johann Strauss, see a Strauss operetta or enjoy him on Sunday classical radio together with their breakfast roll. I myself do get emotional every time Austrian Airlines plays the Danube Waltz when we land in Vienna! However, concerts are mostly left to tourists. Probably the most famous exception for listening to top quality Strauss music is the New Year’s Concert. That said, I love Strauss operettas and think they are a perfect opportunity for you to experience Strauss music in a quality authentic setting. My favourite operetta is Die Fledermaus (The Bat). Not only is this musical a hilarious Viennese comedy of errors, you gain insight into Viennese society of the late Habsburg Empire. 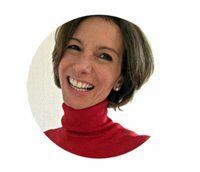 Among the most iconic tunes are the overture and the song ‘Ich lade gern mir Gäste ein’ (‘I like to invite guests’). 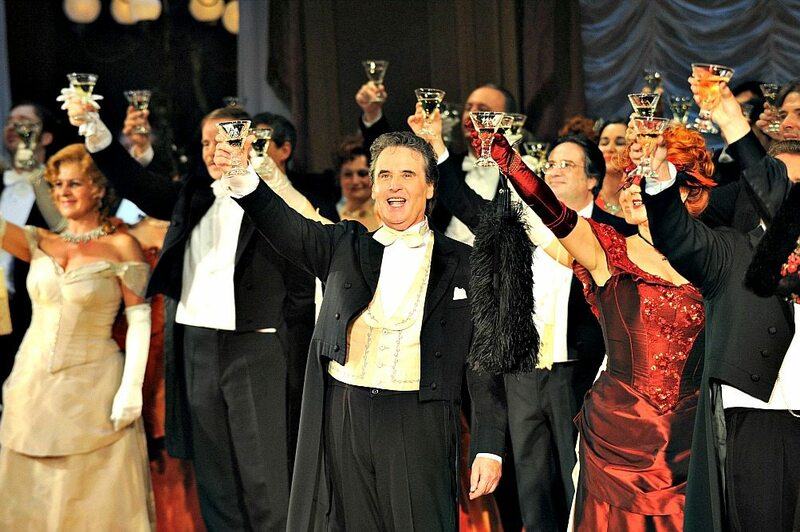 Fortunately for non-German speakers Volksoper Vienna and Vienna State Opera use English surtitles. Other fantastic musical theatres by Strauss that sometimes stage in Vienna are Eine Nacht in Venedig (‘A Night In Venice‘) and Der Zigeunerbaron (‘The Gipsy Baron’). 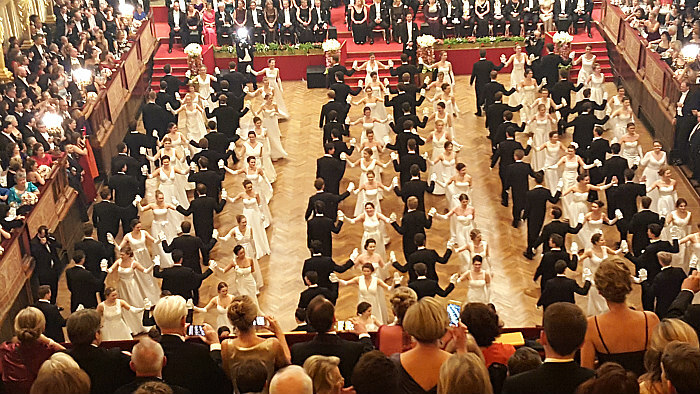 If you like ballroom dancing you will get a guaranteed few Strauss waltzes at a traditional Vienna ball. Most balls stage the famous Fledermaus quadrille at midnight. Following the master of ceremony’s instructions dozens of couples line up opposite each other to synchronise different moves. Usually dancers just imitate one another, leading to much loved confusions! To ring in the New Year, Austrian radio traditionally plays the Blue Danube Waltz just after the Pummerin Bell of St. Stephen’s Cathedral. It’s blasted across the city and at most private parties. If you are in town, join the crowds waltzing along Graben boulevard and Stephansplatz.